You're immediately drawn into a world of exotica and complexity. 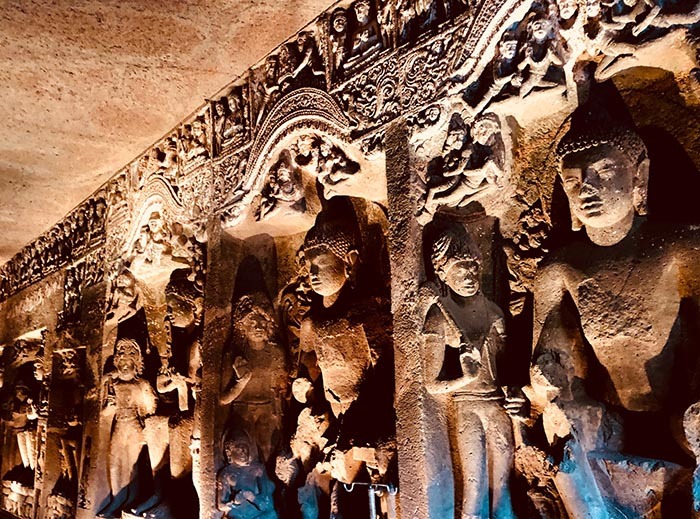 On arrival in Mumbai in the dark, smells were pungent, figures flitting through tiny dark streets, horns hooting constantly whilst Bollywood billboards and floodlit historical buildings stood tall alongside wide boulevards. 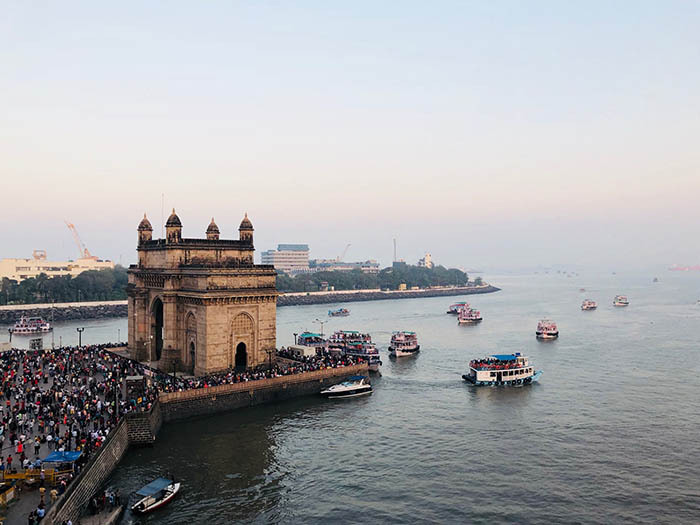 By day you see the wonder of beautiful old buildings like the Gate of India and university as well as the sparkling Arabian Sea, full of boats of all kinds virtually as far as the eye could dream. Jo and I were shown the beautiful hanging gardens. Then we noticed vultures and birds of prey circling close by. Apparently they were waiting for human bodies to arrive at the tops of the Tower of Silence, just beyond the garden wall. The contrasts were felt again when we visited the Mahatma Gandhi museum. The extraordinarily spiritual and brave man, his actions decried all war, violence, prejudice and the caste system. Travelling back to the airport, we could see the poverty which concerned Gandhi and is still so much part of that world today... cramped clusters of tiny buildings covered only with corrugated iron or plastic sheets. We could see the hardship of many as well whilst travelling through small villages with cows and goats roaming the streets alongside tiny thatched buildings, people working in fields gathering everything by hand, collecting firewood by the roadside and carrying heavy loads on their backs. 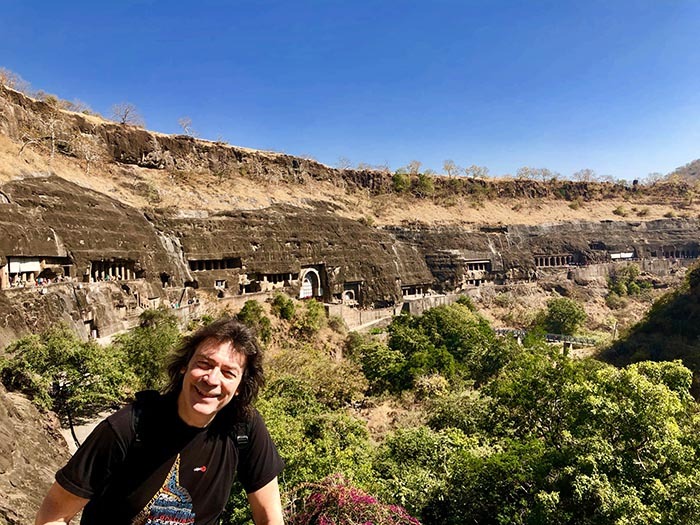 From Mumbai to Aurangabad in the Decan region, we travelled to see the most awe inspiring man-made caves imaginable. 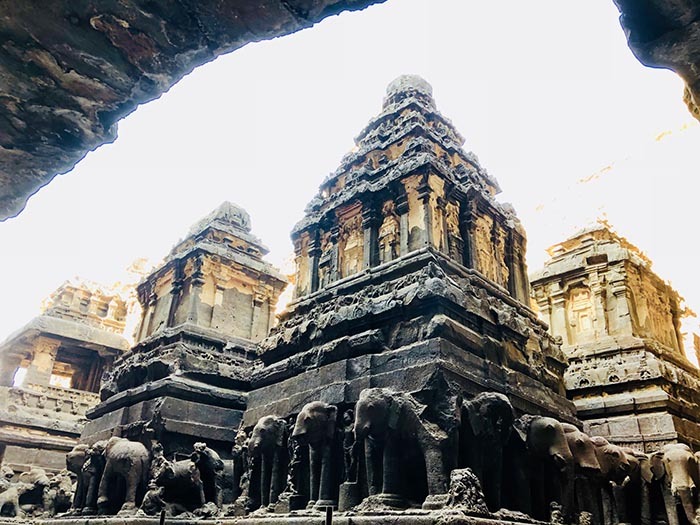 Visiting the Ellora caves was amazing, where religions coexist side by side in peace... Hindu, Buddhist and Jain temples were all skilfully carved into the mountainside. 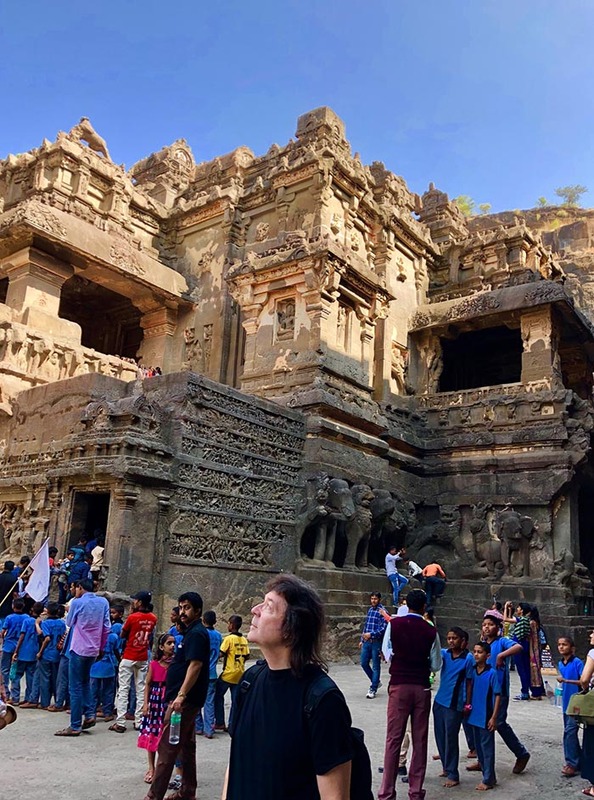 The Kailash temple was particularly impressive, a magnificently elaborate structure, more than twice the size of the Parthenon, carved completely from the mountain rock. 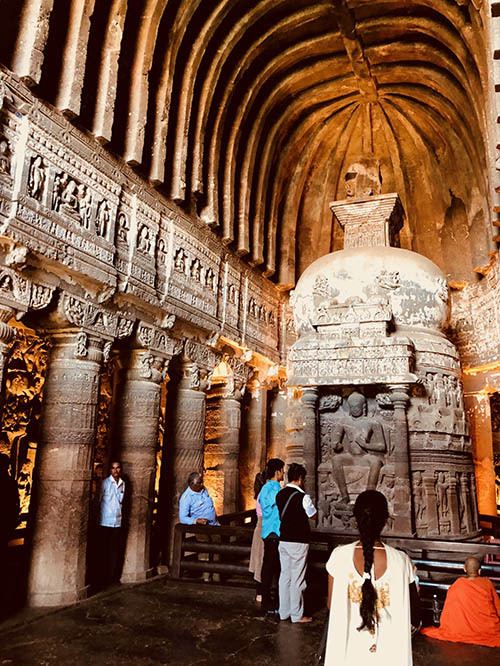 The Ajanta cave temples were equally exciting with their vivid frescoes and bas-reliefs. 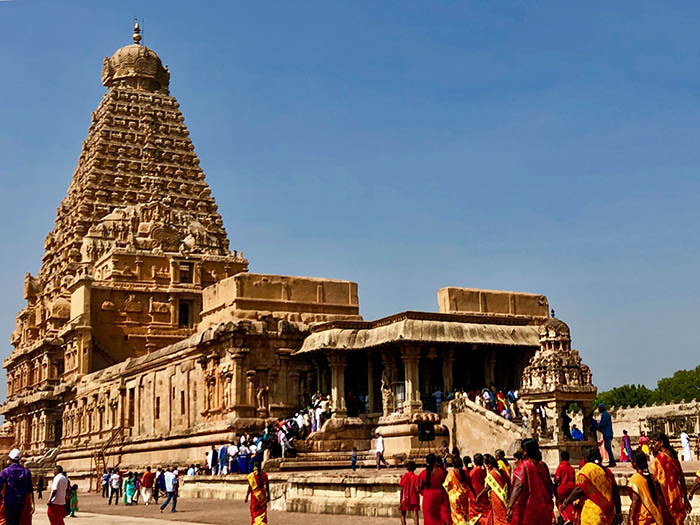 One dated back to the second century BC... Only one century after the earliest known Buddhist temple (also in India). 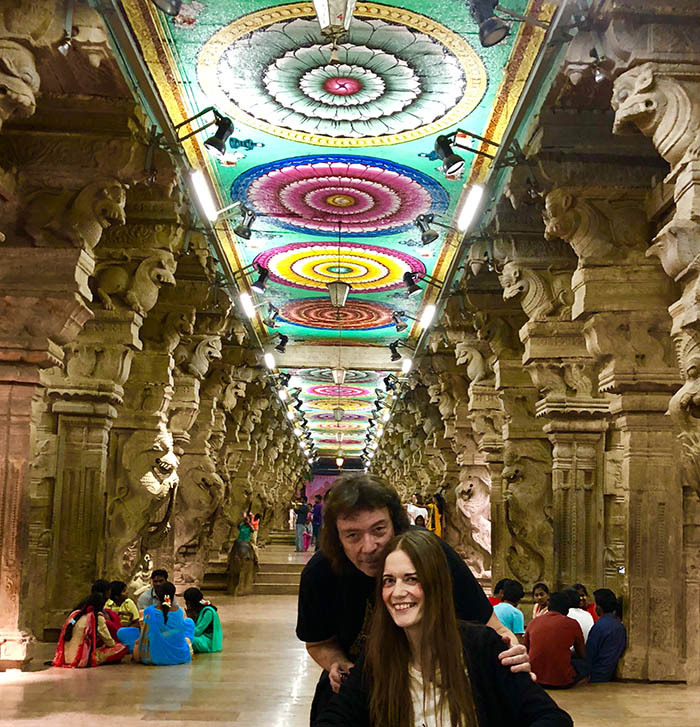 Still hot on the trail of some of the most fantastic temples in the world, we set off for the ancient city of Madurai in the far south of India. 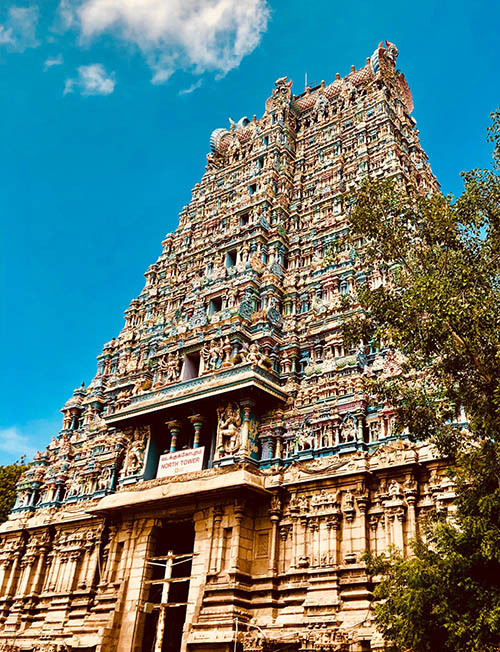 It's known as Temple City because of its massive Meenakshi Temple dedicated to the god Shiva and his consort Pavarti. To stand in front of those fantastically tall and colourful sculptured towers leaves you in total awe. 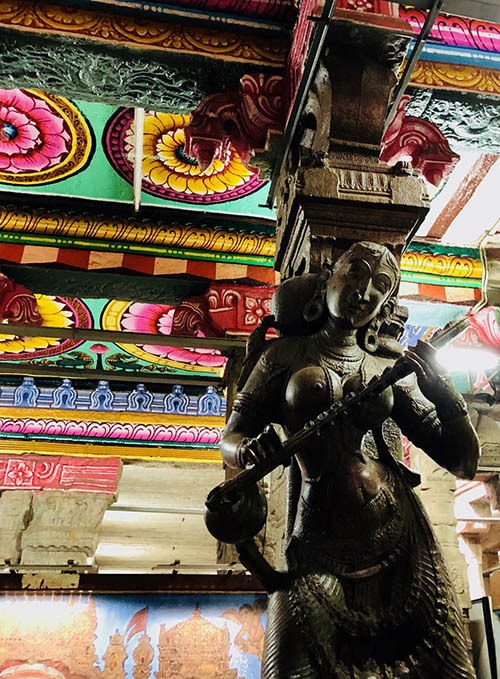 Once you're inside the temple you initially walk through a thriving market, and then it becomes increasingly spiritual as you move closer to the centre past magnificent sculptures and shrines through dream-like corridors such as the Hall of a Thousand Pillars. 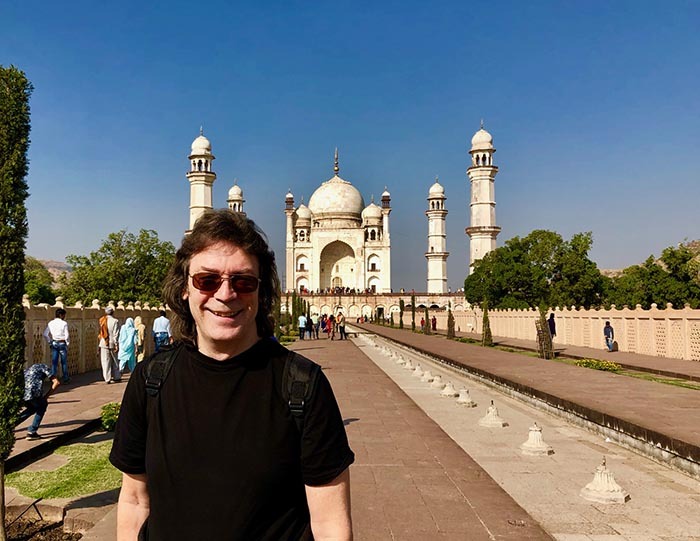 India is one of those experiences you can never forget. 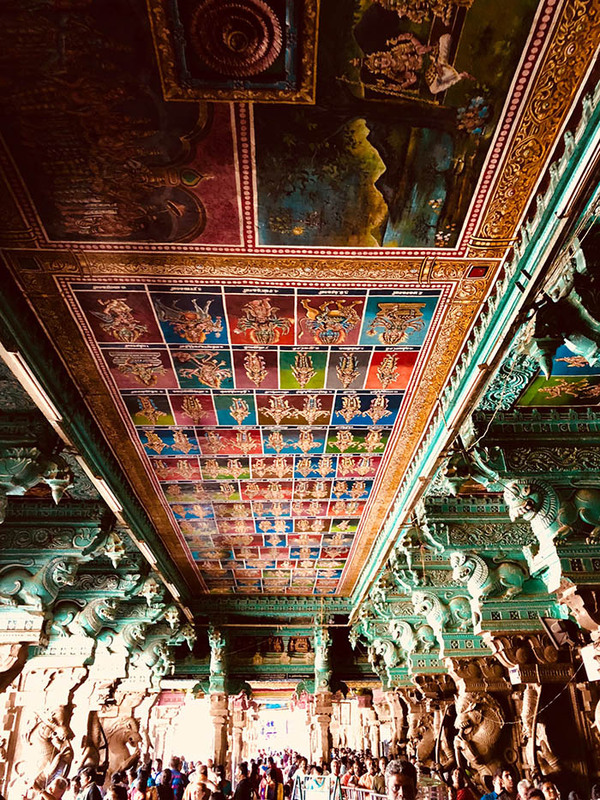 It's a land full of contradiction with extremes of rich and poor, ancient and modern world jostling for supremacy, yet totally compelling and magical. You can see how India so strongly influenced the Beatles and the 1960s with such a celebration of colour and spirit, exotic music with ancient instruments and haunting vocals, pungent aromas of incense, long bearded holy men in loin cloths, sari-clad women with flowers in their hair and jangling bells around their ankles... This land has an incredible culture dating back thousands of years, and if you're prepared to ride that wild Indian tiger and submit to its powerful spirit, you'll be blessed with the gift of its miraculous legacy. 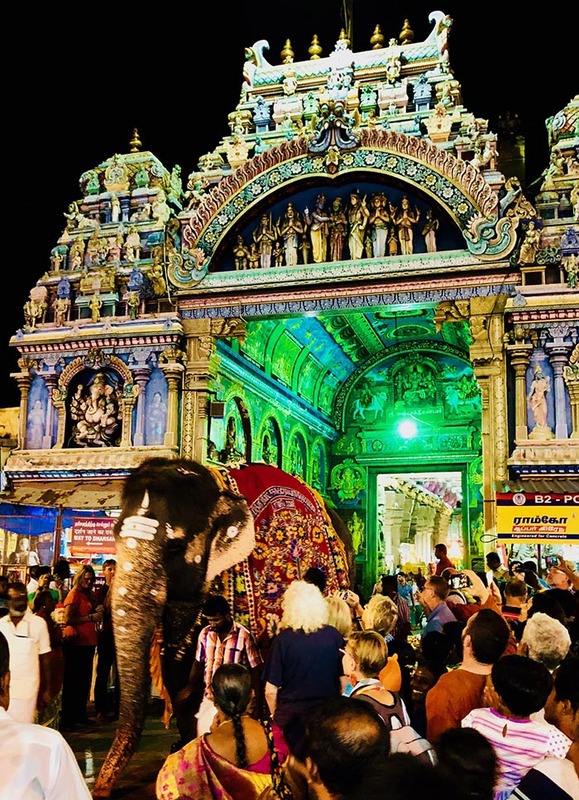 It's hard to imagine a more welcoming place than India. Our thanks to both Thames Travel and Western & Oriental for an experience of a lifetime.